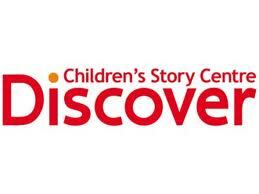 Have you ever been to Discover Children’s Story Centre in Stratford, east London? If not, parents, get your little ones down there right now! It’s a wonderland of story and adventure, a place where characters and scenarios leap off the page and beg to be a part of your world. If your kids aren’t so keen on reading, bring them here to capture their imagination (and get some tips from the staff!) in the 3 exhibits: Story Trail, Story Garden and Story Studio. They even have regular special author events and days themed around certain books with additional workshops, like this one celebrating one of our favourite elephants, Babar. For Age Group: 2+ for the event. General centre open to all ages with parental supervision. Perfect for all primary school age children. Happy Birthday Babar: Can you believe that Babar is 80 years old? Come and celebrate his birthday at Discover with brilliant Babar stories, craft activities and a chance to meet Babar himself! Why not also visit the Story Trail and let your imagination soar? Explore a secret cave, make a spoon puppet, have a tea party, find the giant’s legs, slide down a magic tower, dance on noisy polka dots and dress up in a weird and wonderful costume. The Story Garden holds an outdoor adventure; slide down a monster’s tongue, climb on a space craft, sail away in a pirate ship, enjoy a story in the story glade and play with giant musical instruments. And new to the Story Studio from April 1, Superheroes… SOS! HELP! Urgent Message: Alphabet City is under threat from a mysterious villain. Can you help rescue the city from destruction? Step into the tights of one of our spectacular Superheroes, be empowered by their supersonic skills, hit the letter lab to conduct secret scientific experiments, crack the code, find the Superheroes’ hideouts and defeat the evil mastermind. £4.50 adult/child, £16 family of 4, FREE under 2s. How to book: All events are prebookable Monday – Friday 10am – 5pm on 020 8536 5555. For access to the centre exhibits, just turn up, allowing at least an hour for your visit. Deadline: Unfortunately you can’t book for an event on the day, so get organised!